Amtek Precision Products has procured the very latest in machining hardware and software. GibbsCAM is a state-of-the-art, PC-based computer-aided manufacturing (CAM) system for programming computer numerically controlled (CNC) machine tools. (FADAL 4020) Solids-based GibbsCAM can directly read in native Solidworks model files, including assemblies and configurations. GibbsCAM is a Solidworks Certified CAM Product. 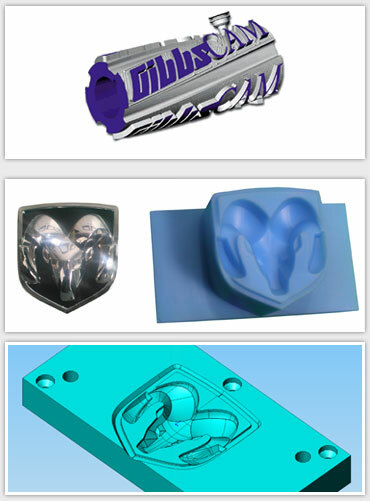 This ability to directly exchange data between our CAD stations and CNC machine provides a finished machined part which is identical to the original solid model with greatly reduced CNC programming time. Amtek Precision Products also houses the ability to fabricate and weld, heat treatment to harden steel workpieces, and precision grinding for critical components requiring exacting tolerances. Amtek offers turn key solutions to engineers and project managers for their most demanding and complex needs. From engineering, to finished components, to fully functional assemblies and machines, allow Amtek Precision Products to deliver.